Arches truly is untouched by civilization. You won’t find any hotels or commercial campgrounds in the park. However, quality lodging can be found as close as a couple miles away. 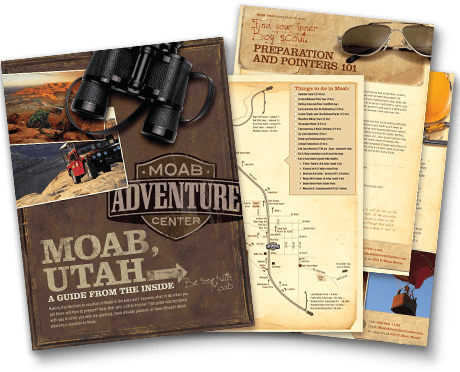 Moab, just a few miles from Arches National Park offers a wide array of accommodations with more than 30 hotels, 20 B&B’s, and numerous private rooms, condos, camp trailers, tents and even teepees can be booked on rental sites such as Airbnb and VRBO. Sounds like plenty of rooms for everybody, right? Actually, that’s not usually the case. Hotels near Arches National Park fill up quickly. Unless you were really excited to sleep in a teepee, we recommend you make your reservations early. 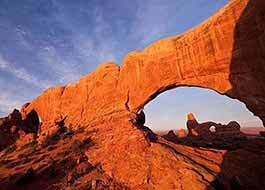 Despite its remoteness, Arches National Park is only minutes away from from a variety of hotels, motels, and resorts. We’d lose your attention if we named all the accommodations within the vicinity of the park, so we’ll highlight a few of the closest. The Springhill Suites by Marriott, is the newest, arguably the most impressive, and definitely the closest hotel to Arches. Just next door sits its sister property, the Fairfield Inn & Suites Moab. A half mile down the road heading toward the town of Moab and across the Colorado River is the Moab Valley RV Resort & Campground, featuring cabins, high quality tents, and RV pads. Roughly another half mile further, brings you to the Aarchway Inn. 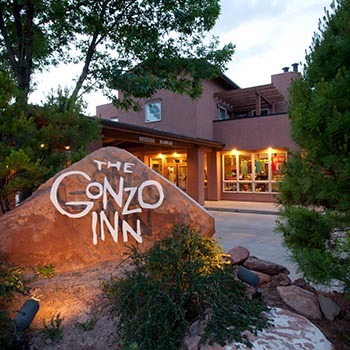 Still very close to the entrance to Arches National Park and the Colorado River, this one-of-a-kind hotel offers free WiFi, free breakfast and free shuttles into Moab. Add paragraph If you’re looking for predictable quality and standards, the Holiday Inn Express is ideal for you. 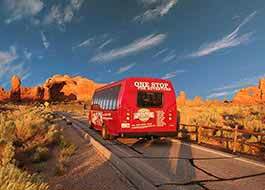 It is located about halfway between downtown Moab and the entrance to Arches National Park. It has an impressive outdoor pool, different room types to choose from, and offers free breakfast. Continuing another quarter mile or so, you’ll come upon the Slickrock Campground. This unique campground offers full RV hookups, sheltered and unsheltered tent sites, air conditioned cabins, 3 shower houses, heated pool and much more. Near the Nature Conservancy's Matheson Wetlands Preserve, this full-service luxury RV resort offers RV sites and vacation homes for rent. The resort is equipped with a general store, laundry, an enclosed dog park, kids playground, sand volleyball, and so much more! And less than a mile down the road begins Hotel Row. Okay, it’s not really called Hotel Row, but that’s pretty much the start of Moab’s Main Street where you’ll find dozens more places to stay. 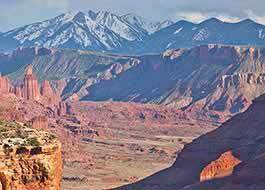 See more Moab Lodging.